The passage of the Federal Information Technology Acquisition Reform Act in 2014 was a watershed moment for Federal technology modernization. Finally, agency chief information officers were given the authority they had long sought to exercise practical control over their organizations’ technology investments. A lot has changed since FITARA was introduced. In fact, we’ve actually seen a couple of strong CIOs—like Richard McKinney at the Department of Transportation—throw down the FITARA gauntlet to much success. But what hasn’t changed may, ultimately, be more important. And what hasn’t changed (at least not enough) is the culture of government. It has been 15 months since the law was enacted and relatively few Federal agencies have taken meaningful steps to integrate the letter and spirit of the law into their day-to-day functions. Sure, there’s been a lot of talk—like the Department of Veterans Affairs CIO LaVerne Council, who this week told Congress that a year from now VA “will be the premiere government agency in FITARA.” But when it comes to bridging the FITARA gap—the chasm between the Federal CIO and the rank and file—little has been achieved. The FITARA gap is a spiritual crisis between Federal policy wonks and those that get the job done on a daily basis. To the senior wonks and wonkettes, FITARA is a gift from the gods, promising to fundamentally alter the technological face of government by giving CIOs the agility and authority they need. But many Federal employees are less fervent in their buy-in. For example, few predict that the legislation will revolutionize government IT, according to a recent survey by Dell and the Government Business Council. In fact, only 6 percent of respondents say FITARA will enact “major improvements.” In addition, 22 percent expect FITARA to have “little to no long-term impact,” and 7 percent believe it will make existing problems worse. Closing the FITARA gap will require leadership—a different kind of leadership perhaps from a different kind of CIO. decreases in IT functionality and productivity,” one Dell survey respondent said. “The advantages of FITARA are entirely dependent on the skill, experience, and interest level of the CIO, which seems quite variable,” another respondent said. With greater power comes greater responsibility. And Federal CIOs must do more than maneuver freely under the cover of FITARA—they must lead, and lead from a position of technical competence. Overcoming the FITARA gap will require proving that the new expansion of CIO powers is merited and will deliver on its promises. 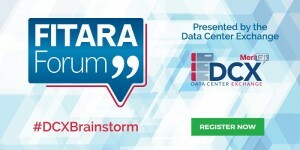 MeriTalk will explore these issues and more at the third annual FITARA Forum on March 30. I hope to see you there.